Blenz has a treat for you! Enjoy an Americano for the price of Drip Coffee. Most of us dread coming back to work after a holiday so Blenz wants to make your day just a little more bearable. 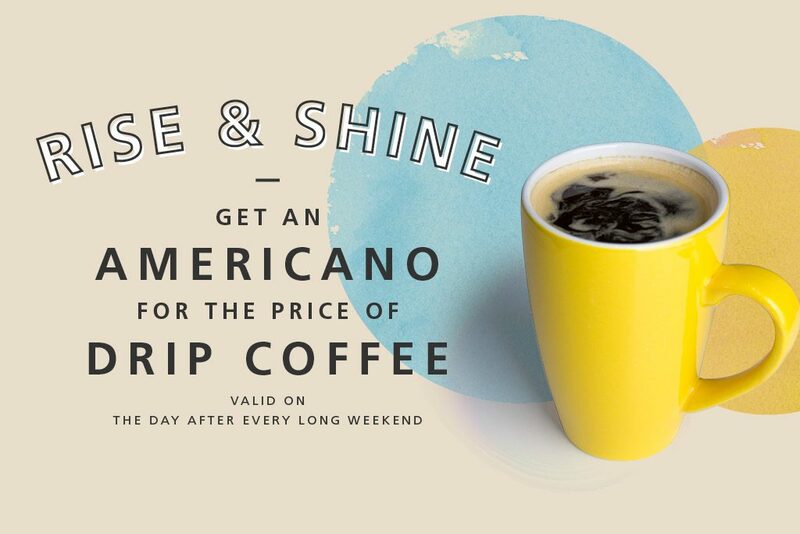 On the day after every long weekend, you can enjoy an Americano for a special price. All Americanos are for the price of Drip Coffee. Never tried an Americano? Well, you’re missing out and it’s now your chance to try it. Did you know that an Americano is the freshest cup of joe that you can ever get? It is made with freshly pulled espresso each time. If you wish, make it a misto! (That’s a fancy word for steamed milk). Nothing says good morning quite like the smell of fresh espresso and a piping hot Americano! So set a reminder in your calendar! Come in to Blenz after every holiday to enjoy an Americano.